Which Kindle Reader to Buy? Please tell me you know what the Kindle device is because if you enjoy reading books and magazines and find yourself reading outdoors as well you should not only know but also own a Kindle device and in this article I will tell you exactly what each Kindle device can do for you and how it can benefit you as a reader because from the moment you own one, your reading experience will change forever and you won’t regret it. A Kindle device is a wireless reading device which allows you to store thousands of actual books and magazines in them so you won’t have to carry a single book with yourself anymore. The most sold and popular Kindle device to this date is without a doubt the Kindle 3G reader, so let’s get to know the best Kindle devices which are available today. This is the bestselling product of Amazon to this day and without a doubt an amazing Kindle reader that has many great features and benefits to any reader. It can store up to 3,500 books and magazines, it comes with a free 3G and a Wi-Fi connection so you can download any book you wish anywhere in the world at any time and its battery lasts for a whole month before you’ll have to charge it again and you know what else? It weights 8.7 ounces only which is less than a paperback at the store, and these are just some of its features. 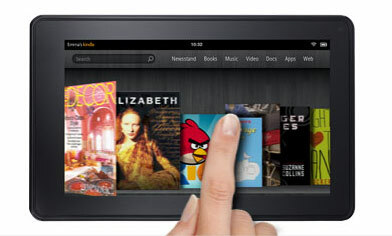 The new Kindle was launched thanks to the big popularity of the Kindle 3G device. It is smaller, lighter and cheaper than the previous Kindle but can store less books and by less I mean up to 1,400 books and magazines. It comes with the same one month battery and the Wi-Fi connection included to download more books to it whenever you want. It is very small and thin that you can actually put it in your pocket and it weights less than 170 grams. This is the newest Kindle reader by Amazon and it features a touch screen as opposed to the previous Kindle devices that came with a small keyboard. It can store up to 3,000 books and magazines in it but it comes with a battery that can last up to two months! Another great feature of this device is that it comes with a text-to-speech so it can read out loud English text if you don’t feel like reading at that moment. 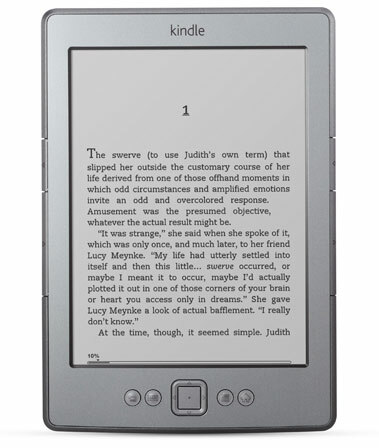 It’s thin, small and lighter than any other Kindle and weights only 7.8 ounces. These are the 4 most leading Kindle devices available today, devices which will allow you to read any book you wish anywhere in the world at any time without the need to hold or carry a single book with you. Now, simply have all your books and reading material inside one small and light Kindle device and read any book even at places without electricity and even better, download any book you can think about to the Kindle in just 60 seconds and start reading it. The future of reading is here and now, all you’re have to do now is choose which device you prefer and enjoy a whole new experience of reading and if you choose to have the Kindle Fire you know you’ll be enjoying a world of entertainment each and every second no matter where you are. 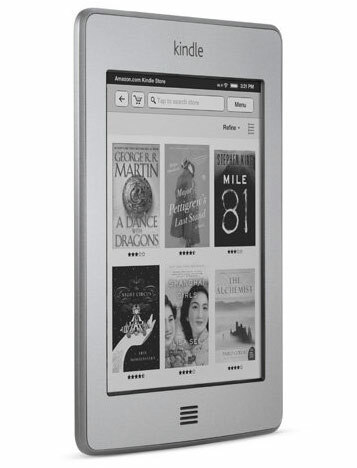 Find out more about the Kindle 3G and other popular Kindle devices. For me Kindle Fire just trumps anything else because of it’s versatility, I bought 5 of them in the past three weeks and 3 are gifts for various family members.